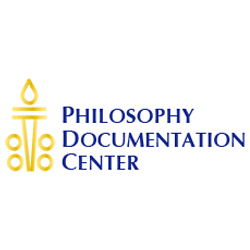 The Philosophy Documentation Center( PDC) is a non-profit organization dedicated to providing affordable access to the widest possible range of philosophical materials. Established in 1966, the PDC has earned a reputation for excellence with the publication of essential scholarly resources in applied ethics, philosophy, religious studies, classics, and related disciplines. The PDC provide a full range of publishing and membership services, including digital workflow management, secure hosting, and support for a range of Institutional and individual access options. Complete coverage of scholarly journals, series, and other publications in applied ethics, philosophy, religious studies, and related disciplines. Currently contains over 90,000 articles, reviews, notes, letters, and other documents from 1890 to the present. Text is fully searchable and displayed in PDF or HTML formats. All articles are OpenURL ready and COUNTER compliant usage statistics are available. A bibliographic index of articles, books, reviews, dissertations, and other documents in philosophy, with coverage from 1400 to the present. It supports a variety of searching and browsing options, with faceted search results and an integrated time line. Users can save or export citations for later use, and social networking functionality is provided to facilitate information sharing. A translation function is also available to help users combine all results in English. Compare to other indexing databases! This online database consolidates the content of the Directory of American Philosophers and the International Directory of Philosophy and Philosophers, standard reference works published by PDC for many years. It provides edited listings for university philosophy departments, journals, research centers, membership organizations, and publishers in over 130 countries. Listings are provided free of charge, and all listings can be updated online.